Blue Satellite Review – Blue Sadie was a master piece and I truly enjoyed listening music with it. It’s however, not so portable. Firstly because it is corded but the metallic and sturdy frames are not the lightest to carry around as well. 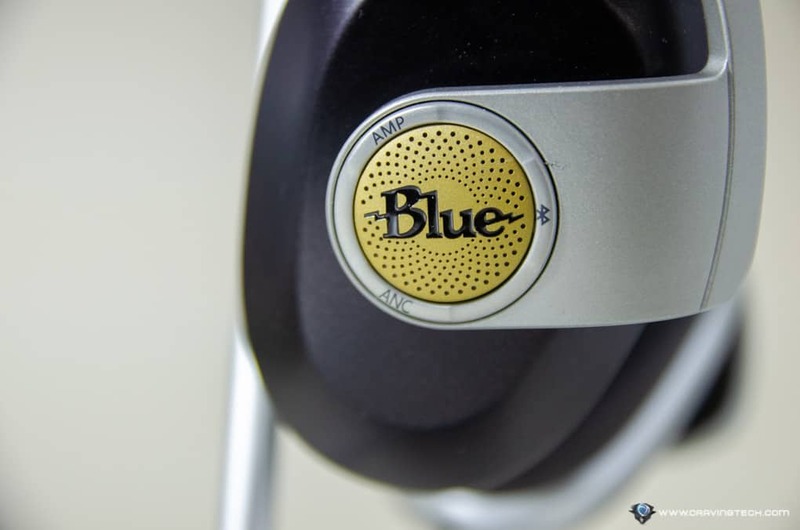 However, Blue also has a solution for those who are always on the go but still want to experience music listening to its fullest. 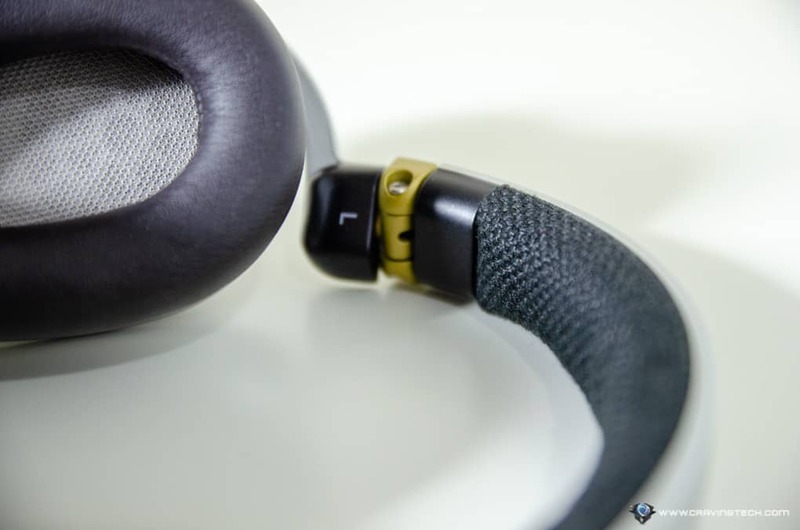 The Blue Satellite that I’m reviewing today is a wireless headphone (Bluetooth) that has all the things you want in a wireless headphone: Active Noise Cancelling and a built-in audiophile amplifier for sound fidelity. It comes with a luxurious, tough hard case to protect your premium headphones, along to carry the microUSB charging and 3.5mm cable. Like the Sadie, Blue Satellite has a premium and luxurious design that you can see from miles away. It certainly looks a lot like a premium, studio headphone. The metal construction helps in terms of durability and the mix of colour blends rather well. Whichever colour theme you choose, you will not be disappointed. 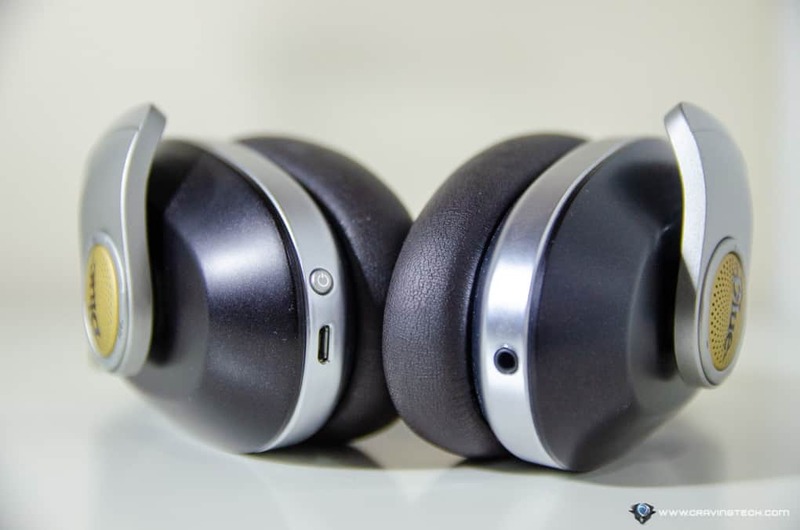 On each ear cup, there are hard buttons that you can press to control different things. On the left are the Bluetooth, ANC, and Amplifier buttons. On the right side, you’ll find volume controls and the multi purpose button to answer calls, etc (No invoking Siri or Google Assistant, however). These buttons, at first, are harder to locate with the finger as there are no bumps or raised plates as indicators. After days of using the Satellite though, I got the hang of it and could naturally locate them (though still somewhat guessing, or using my muscle memory). I am not also sure whether a feature has been enabled except to press the corresponding button and see a flashing (disabled) or solid (enabled) light. While the button design is cleaner than a toggle, the flaw is that there is little feedback on what’s on and what’s not. The power button is also a bit stiff to press. Blue includes a 3.5mm jack in case you want to use the Satellite wired, which will come in handy on the plane as I can get an aeroplane adapter to plug the headphone to the entertainment system. The packaging also includes a super long 3.5mm cable if you want to plug it to a PC or entertainment system which might be positioned meters away. 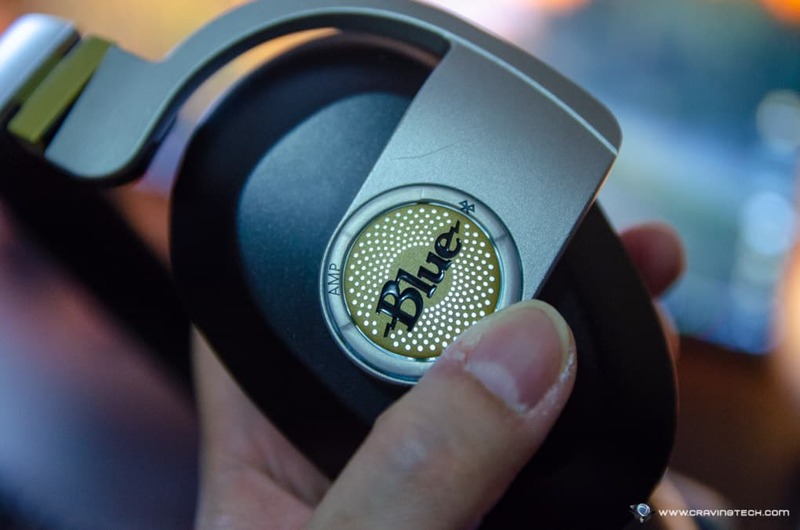 Speaking of aeroplanes, Blue Satellite comes with an Active Noise Cancelling feature and this normally tickles people to compare it to one of the best ANC headphones out there, the Bose QuietComfort 35. 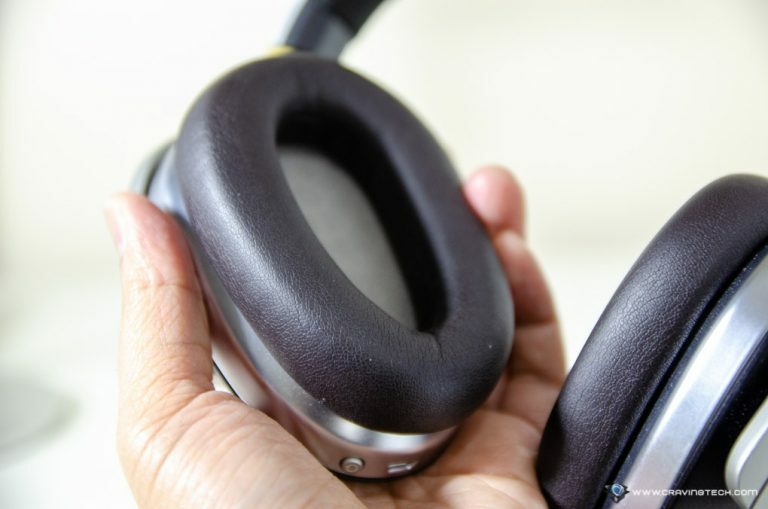 So, how good is the Blue Satellite noise cancelling feature? Is it better than the Bose QC35? Blue Satellite ANC is pretty good as I tested it in Melbourne’s busy metropolitan area. It manages to block out ambience noise like Melbourne’s notorious wind and a few construction noises. Bose QC35 still wins though slightly here. I haven’t tested the Satellite on the plane, but might do next week when I’m flying overseas. However, Blue Satellite definitely has the better sound compared to the QC35 and you will notice it. 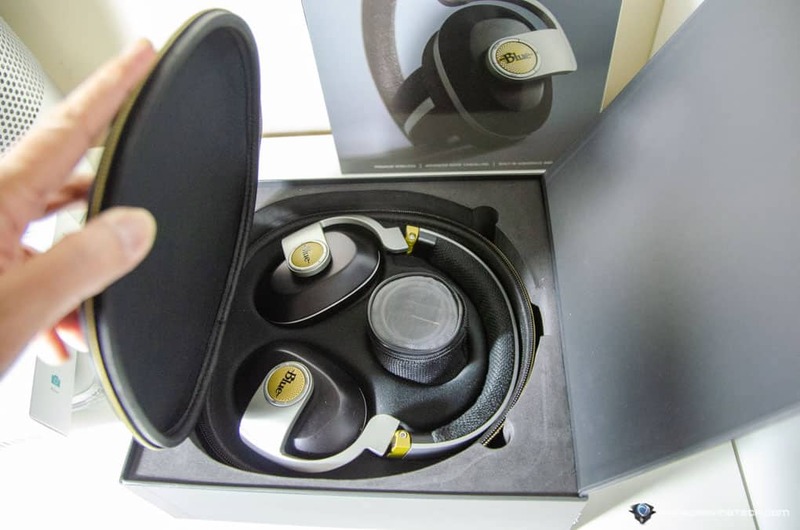 Obviously, this is because it has a built-in audiophile amp but also because the Satellite has 2 dedicated 30mm drivers just for the ANC feature (2 other 44mm drivers are for the sound) . 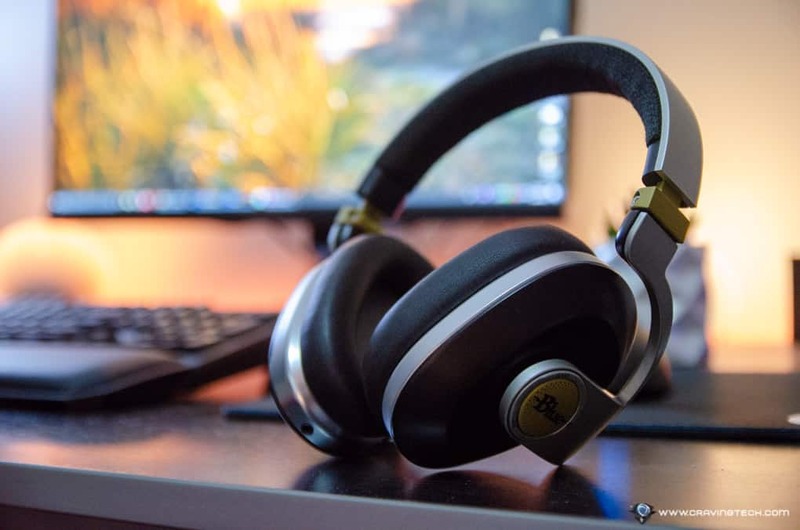 Most other ANC headphones like Bose QC35 uses the same drivers for both audio and ANC, and that will have an effect to what you are listening (sounds a bit muffled, etc). 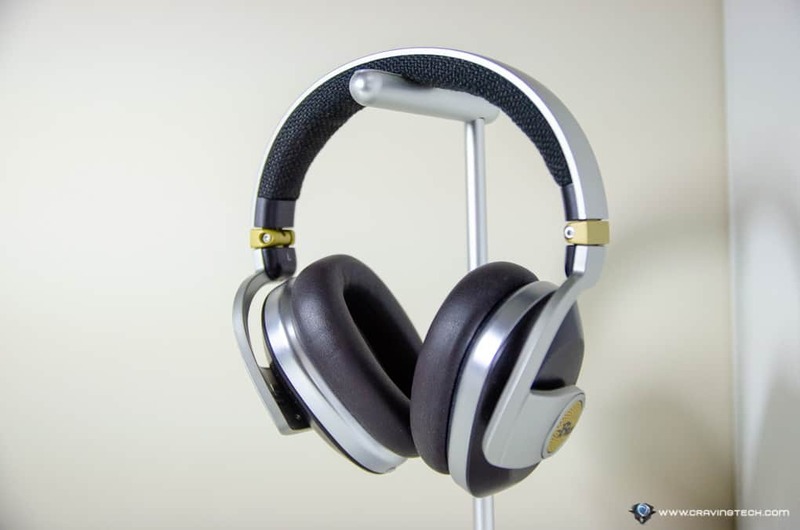 Combined with the closed fit of the ear cups on Satellite, you’ll get a really good noise isolation and unless you are travelling, you’d rarely need to ever turn ANC on. I like how you can enable ANC and the amp separately through the different buttons on the headphones. Blue is suggesting 24 hours of battery life with just the Bluetooth feature turned on, and around 8 hours if the ANC & amp turned on as well. I’m assuming we can get more if we just enable the amp and not the ANC, but I haven’t properly tested this (i.e I don’t think I can listen to music for more than 8 hours non-stop). Eight hours is not much but you do get a boost quality of sound through its built-in audiophile amplifier. Oh, and you can also fold one of the ear cups away and rotate them when you place it on your neck for comfort. As mentioned briefly, it definitely sounds much better than the Bose QC35. The built-in amp is a godsend and gift to humanity. 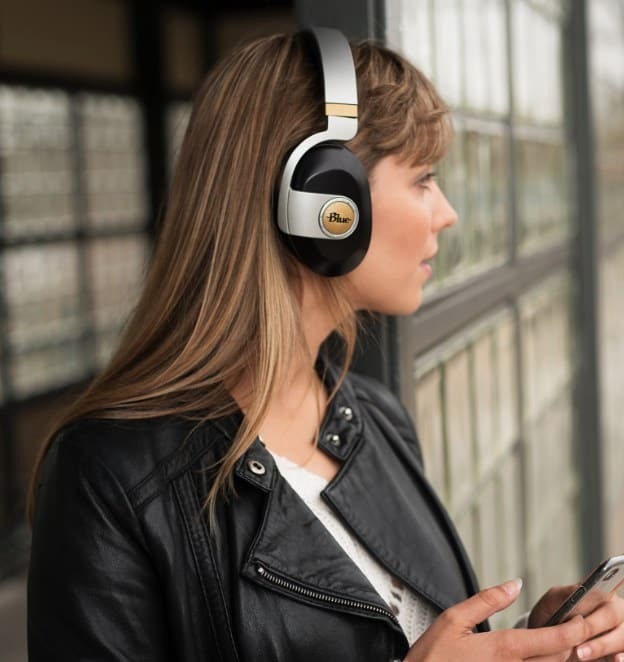 Normally, you’d lose lots of audio quality by going for a wireless/Bluetooth headphone in exchange for portability and convenience. 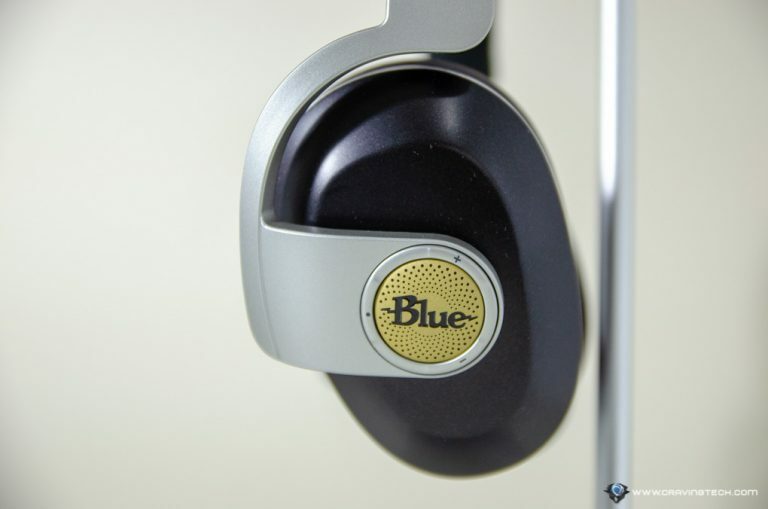 However, by including a built-in audio amplifier inside the Satellite, Blue has raised up the game. To remove the placebo effect, I let my friends to try the Satellite and they could confirm being able to listen to every detail in the song they’ve heard. One of them even didn’t notice a background vocalist singing in a part of his favourite song before. I do find that the bass is pretty strong & deep which I usually liked, but thanks to Sadie, I much prefer to listen to a more balanced headphone now. If there is a way to lower the Bass a bit in the Satellite through a mobile app or something, it’d be perfect. But if you like a bit of an oomph, Satellite offers a solid bass power to your music. While the amplifier is turned off, the sound still sounds great to my surprise so if you ever run out of battery, you’ll still be definitely enjoying the Satellite. The bass is less prominent but you do need to boost the volume up due to the lack of amplifier boost. 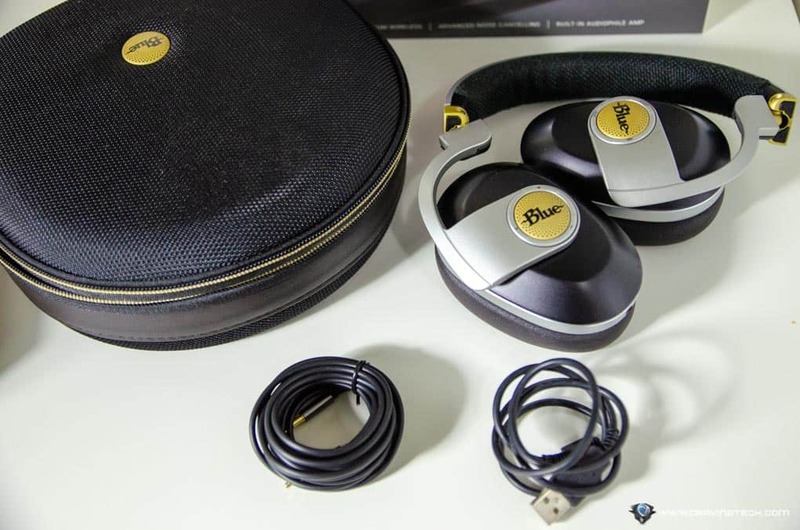 Blue Satellite offers great sound quality & fidelity with its built-in audiophile amplifier, and at the same time offers a great option for travellers with its Bluetooth support & Active Noise Cancellation. Blue has also taken things further by separating the sound drivers to the ANC drivers. This is done so that you can get the best and cleanest sounding possible, which true music listeners would love. 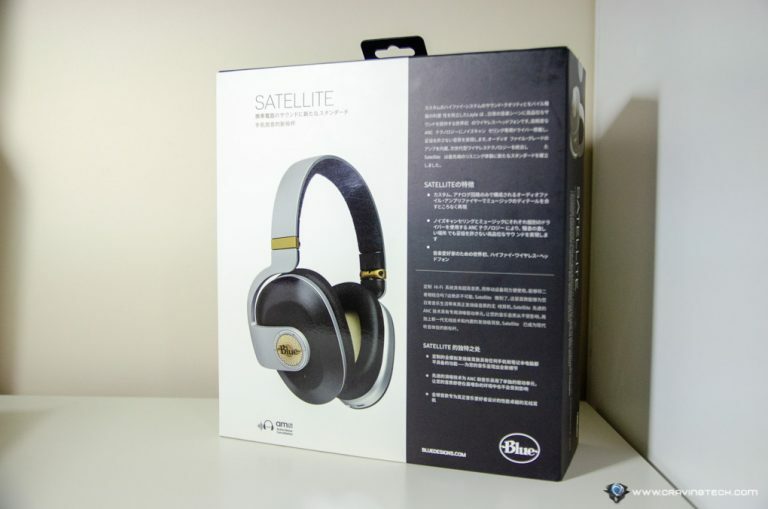 The button designs can be better (hopefully in the next version) and I wish there’s an app to adjust the bass, but if you only care about sound quality on a wireless headphone, you won’t be disappointed with Satellite. It’s priced at AU$697 at Harvey Norman, which is the same as the Blue Sadie. In my opinion, the Blue Sadie sounds much better and more balanced, so it’s a tough one to choose between the two. 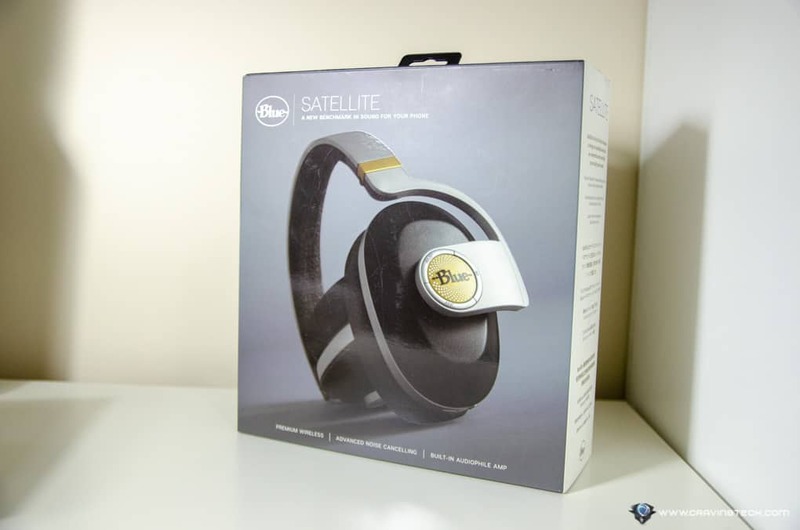 Obviously, the Satellite is wireless and has an active noise cancelling with separate drivers, so if you really need the portability, than Satellite is the way to go. You are paying premium, so the Satellite is really a niche market that not a regular college or university student would have the money to pay for.